Monty Python’s Terry Jones briefly writes exactly what happens in his new film. CONTAINS SPOILERS. 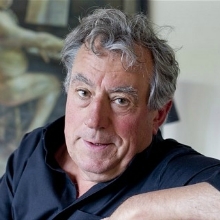 Comedian, Actor and Filmmaker Terry Jones is the director of Monty Python and the Holy Grail (1975), Life of Brian (1979) and The Meaning of Life (1983). His latest film is Absolutely Anything (2015). He is a member of Monty Python.